​Dr. Scott Swoboda is licensed by the Dental Board of California. He is a member of the American Dental Association, California Dental Association and Napa-Solano Dental Society. 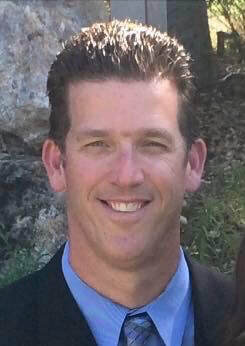 He received his training from the University of the Pacific School of Dentistry in San Francisco and his undergraduate degree from California Polytechnic State University in San Luis Obispo in 1994. He has been practicing dentistry at Harbor Dental since August of 2003. A sole practitioner, the one thing Dr. Swoboda loves most about his job is the ability to completely change a person’s self perception from one of depression and shame to one of happiness and confidence. There are a few ways he does this. One is through cosmetics. Whether its whitening, bonding, veneering, or a combination of the three, having the ability to give someone a reason to smile again is a wonderful gift to have. Another way is by just getting someone who is in excruciating pain, out of pain. Perhaps the most rewarding though, is to assist someone in getting over his or her fear of the dentist and restoring not only his or her oral health but also his or her confidence, outward appearance, view of the dentist, and general outlook on life. Dr. Swoboda has been a resident of California all of his life. He was even born in Southern California and moved to Moraga, California in 1977 where he grew up. His big interests growing up in Moraga were playing soccer and swimming competitively. In swimming, he was a high school and collegiate All American more than 20 times over. He was also an Academic All American. He was a swim coach at the recreational, high school, and college level until he quit to pursue a career in dentistry in 1995. He met his wife on a blind date and was married in August of 2001. The Swobodas live locally in Benicia where they are raising their two children. Dr. Swoboda enjoys training for triathlons, playing golf, fishing, backpacking, skiing and surfing when he gets the chance.